Disposable Music is a new subscription service label from the Finders Keepers crew, dedicated to the endearingly mythical world of Library Music. Each release is limited to 500 copies, with only a handful of copies making it to shops. Bruno Spoerri's 'Extrakugel' is the second installment in the series (following the Tafo Brothers 'Plugged In Pakistani Pops') and his second release for the Finders Keepers crew after the now-legendary 'Gluckskugel' extravaganza some years back. Anyone who dipped into the zany world of that album will know the territory we're getting into here; sci-fi soundscapes, twee melodic ebullience and downright incredible Radiophonic style productions made for anonymous use in the film, TV and radio industries. 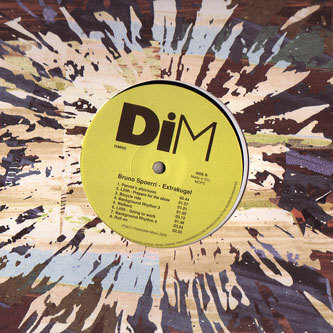 Spoerri is an acclaimed master of this style, noted for his more cosmic compositions stretching back to his role alongside Can and the 70's Krautrock scene, and beautifully displayed here with a range of tracks crossing from ambient music for steamy jungle-planet marshes to incredible proto-techno rhythms and foreboding astral dramas. 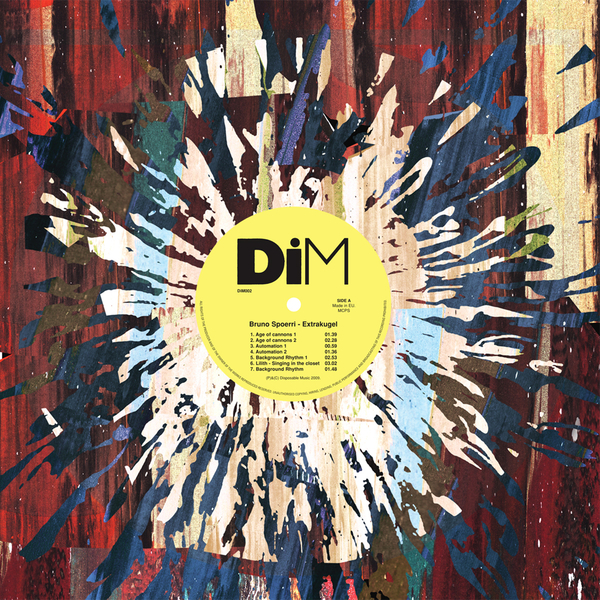 This is exactly the kind of stuff which has subliminally influenced swathes of todays electronic producers and pretty much defines that whole "music to soundtrack the film in your head" feeling, which is why the knowing cats at Finders Keepers have dug it out for us. These aren't going to last 5 minutes so click quick or miss another glimpse into the wonderful world of Bruno Spoerri! Essential Purchase.